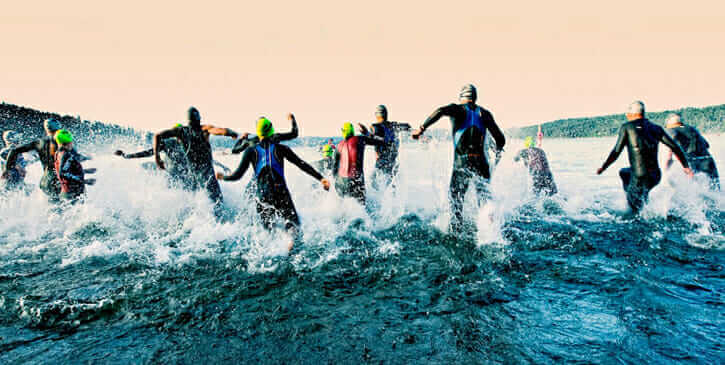 Terri Schneider, author of The Triathlon Training Handbook, provides these 10 tips for those doing triathlons. 1. Swim each session in organized, coached workouts. Add the most value to your time in the pool by working with a coach on your stroke each time you hit the water. A group swim session will motivate you to get the most out of your swim time. And its fun! 2. Swim in open water often. Do one swim session per week in open water, preferably the same type you’ll be using in your race. Regular open water swimming makes for a confident open water swimmer. 3. Before your event and after warming up on the bike and run, get in the water to do a 10 minute warm up prior to your wave start. Time your water warm up so you are out of the water 5-10 minutes prior to your wave start. If you are wet and warmed up prior to the gun going off, you won’t even notice the temperature change up. 4. Get a professional bike fit. Whether your bike is years old or brand new, get an up to date fit on your bike. This is the most important pre-ride task you can take on in your life as a cyclist. 5. Get fit with aero bars. Just before you get that pro fit on your bike, purchase some clip on aero bars. These are an easy, inexpensive, comfortable means to buy speed on whatever bike you are riding. 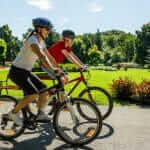 At least once per week do a brick, or bike to run workout. Set up your transition, then move directly from your bike onto a run. 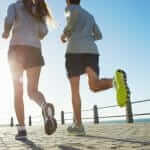 Start out with just 10 minutes of running, then progress from there. 7. Keep your transitions simple. Decide ahead of time exactly what you need during the race and keep only those items in your transition area. Take everything else out of your transition area or put it all in a small zipped shut pack or duffle bag, out of the way from your other gear. 8. Put your race number on prior to the race. This will save time in your transitions as well as be one less item to put on during the race. 9. Practice running without socks. Consider running without socks, or, roll your socks down for ease in sliding them on your feet. 10. Prior to toeing the start line, make sure you are clear as to why you are racing. Have your goals and motives in place. These will help you stay motivated during the race. 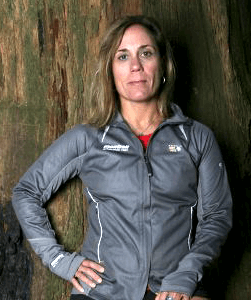 TERRI SCHNEIDER is a writer, speaker, coach, and sport psychology consultant, but her passion is being an extreme multi-sport endurance athlete including being a world-class triathlete for a decade, an elite international adventure racer, and a mountaineer.